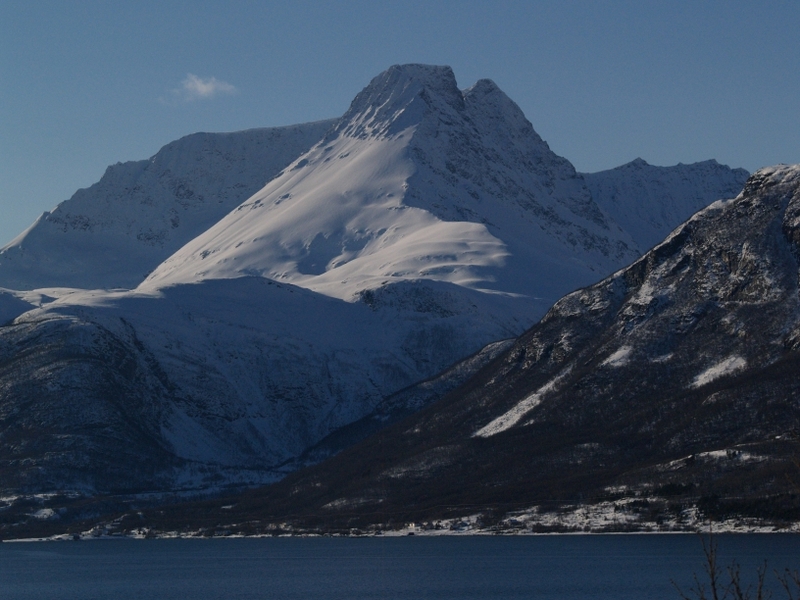 The twin summits of Steindalstinden as seen from Storfjorden. 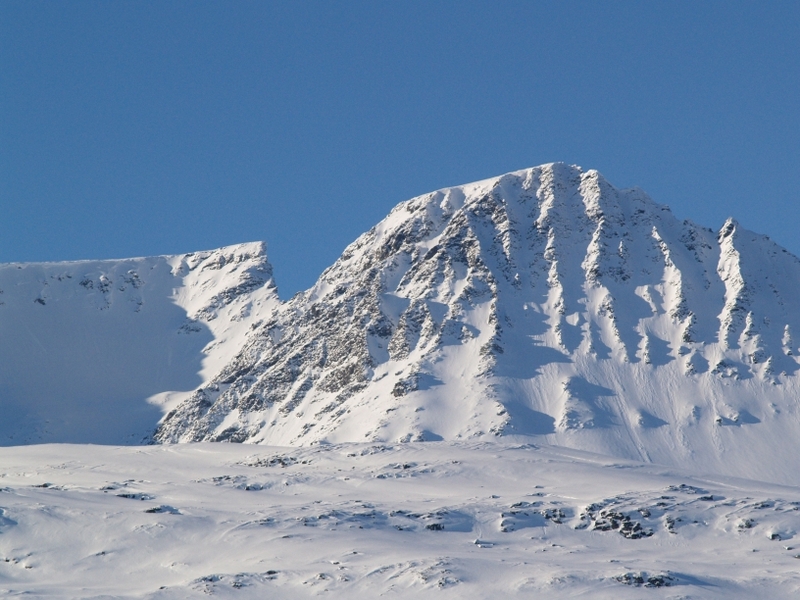 The East summit (left) is 1504 m while the west summit (right) is 1511 m.
face. This route is exposed to rock fall! From the col scramble up the West ridge until you reach the plateau at 1400 m. The last kilometre is just an easy walk. 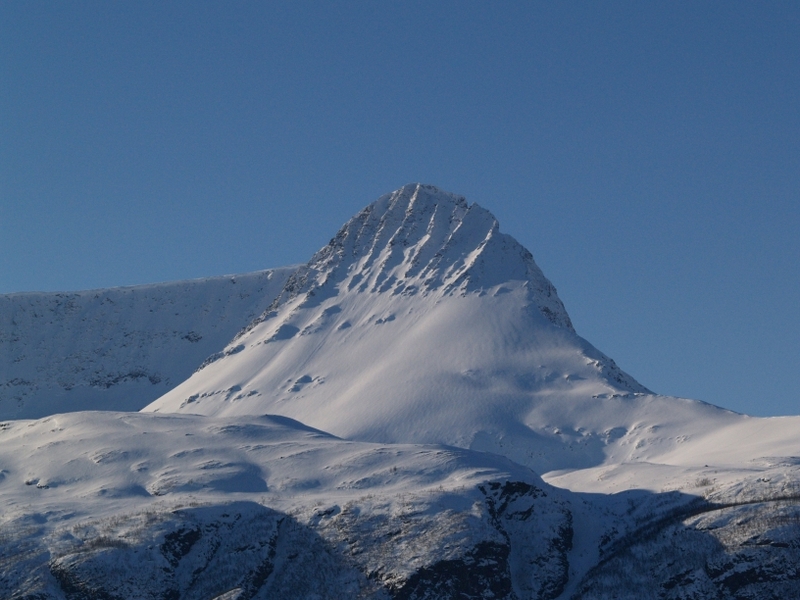 Climbed by Geir Jenssen and Allan Sande, 31. July 1984. Scramble up the East face of Imagaisi on exceptionally loose terrain towards the col between Imagaisi and Steindalstinden. 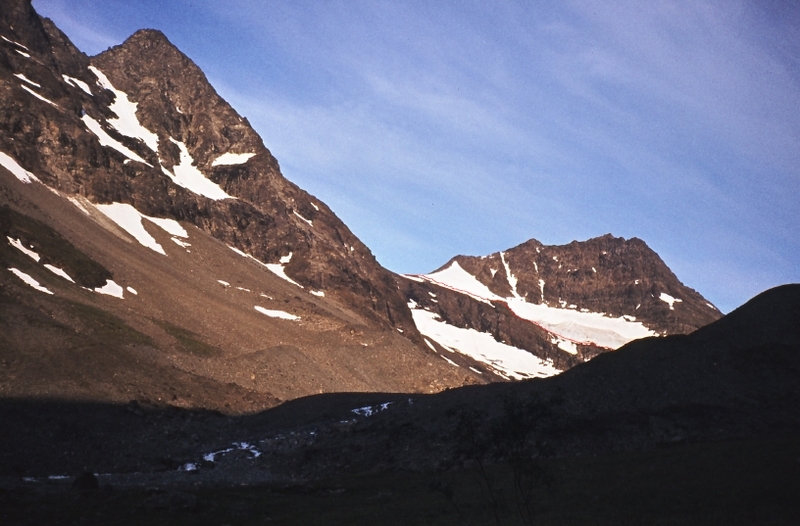 Follow the lower part of the glacier on the East face. This route is exposed to rock fall! The South East face of the East summit (1504). The West summit to the left and the East summit to the right.